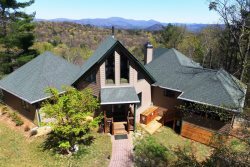 Der Linder Haus is a one of a kind mountain home perfect for family reunions, wedding groups, meetings and retreats, or golf enthusiasts! This large 8 bedroom, 8.5 bath home located in Innsbruck Golf Resort offers the perfect “home base” for your group! Explore our beautiful area with hiking, waterfalls, wineries, shopping, etc. or just take advantage of the swim and tennis, and all that this great in-town location has to offer. Close to restaurants and shopping in the heart of Alpine Helen, Der Linder Haus is an excellent choice for your family and friends to gather and enjoy quality time, with plenty of room for everyone! Accessibility: Paved roads and driveway, accommodates 6-8 vehicles, motorcycle friendly! Responses were so quick and positive. Everyone was helpful. This is our third trip of 11 friends and it is by far our favorite. We have stayed in more expensive rentals, but none have accommodated our group as well as Der Linder Haus. We are repeat Pinnacle renters (5+ years) and have always been pleased with the courteous, friendly and professional way the Pinnacle team manages the reservation, promptly answers questions and/or responds to calls and emails. We'll definitely be back, have referred others and will continue to do so.